Approximately every 45 seconds, someone in America experiences a stroke—that’s 700,000 new or recurring stroke victims annually. Stroke is the third leading cause of death behind heart disease and cancer. 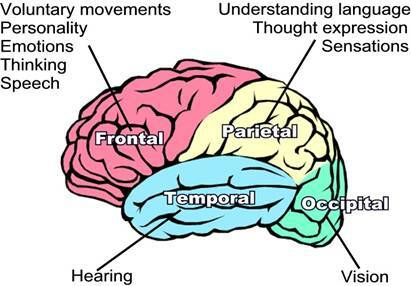 The right hemisphere of the brain controls body functions on the left side of the body, while the left hemisphere controls functions on the right side. All the cells of the body, including the brain, receive vital nutrients and oxygen to function from circulating blood. When that blood flow to the brain is decreased or completely stopped, the result is a stroke. If cells continue to be deprived of oxygen, brain tissue may die. There are two main categories of strokes—ischemic and hemorrhagic. Eighty percent of strokes result from a blood clot blocking the flow of blood to the brain. This is known as an ischemic stroke. The other 20% are from a ruptured blood vessel and are referred to as a hemorrhagic stroke. A hemorrhagic stroke happens when either an aneurysm (a bulging, weakened area of the blood vessel) or brain injury causes the vessel to burst, expelling blood into the surrounding area, thereby compressing the surrounding tissue structures. A stroke can occur in any area of the brain, resulting in a range of symptoms from unnoticeable to sudden death, depending on the area affected. The illustration below highlights areas of the brain responsible for major life functions. Similarly, risk factors such as age, gender (male), heredity, ethnicity, and previous heart attack or stroke are not controllable and may increase the likelihood of a stroke. Immediate recognition and intervention is critical to minimize the effects of a stroke. The longer the brain remains without adequate oxygenation, the more severe and permanent the brain injury is likely to be. Since most strokes result from a blood clot, one of the first medications administered for ischemic strokes is Tissue Plasminogen Activator (t-PA), which dissolves blood clots. Additional medications for stroke treatment and prevention are administered to prevent further clot formation and lower blood pressure. If the brain injury results from a ruptured vessel (hemorrhagic stroke), surgery may be one alternative to repair the vessel and relieve the internal pressure exerted on the brain by the pooling blood. Generally, the more severe the disability is at onset of the stroke, the more negative the outcome. Many people recover completely from strokes, while others take months or years to achieve modest gains. Overall, approximately thirty percent of strokes result in death. Rehabilitation and brain retraining methods may include daily medications, physical/occupational/speech therapies, and lifestyle changes. With advances in medicine and vital support from families and friends, stroke survivors are leading more fulfilling lives. 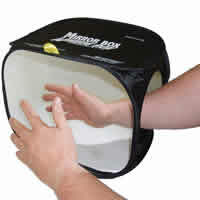 Click here to learn about new mirror therapy that is aiding individuals who have a stroke or amputation.